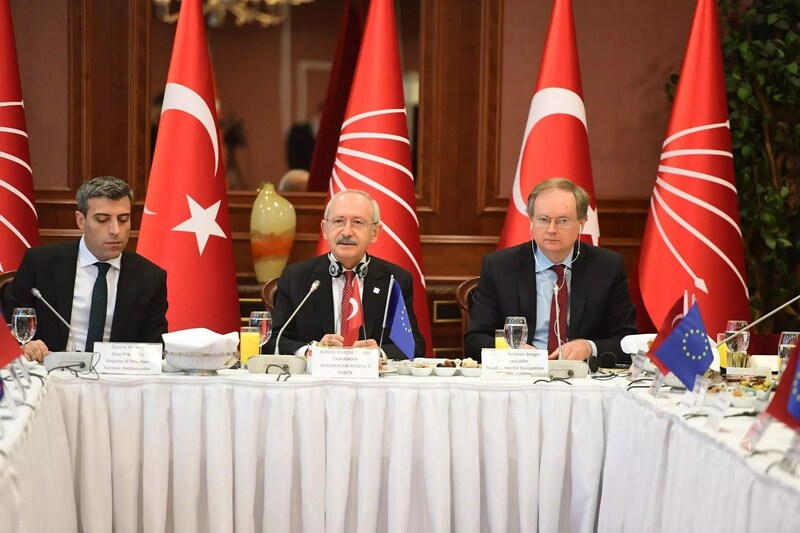 Main opposition Republican People’s Party (CHP) leader Kemal Kılıçdaroğlu met with the ambassadors of European Union (EU) member countries on Jan. 11 at a hotel in Ankara. In the meeting that lasted for an hour and 30 minutes, the ambassadors discussed Turkey’s foreign and internal policy. CHP deputy leader Öztürk Yılmaz and European Union’s Turkey delegation head Ambassador Christian Berger were present at the meeting. “In the meeting, topics like Turkey-EU relations, the possibility of early elections, possible alliances and legislative harmonization were discussed,” Yılmaz said. Yılmaz added that Turkey’s relationships with Russia, the EU and the United States were discussed extensively. The CHP expressed their efforts to reinstate Turkey’s harmonization with EU values, democracy, human rights and superiority of law. Yılmaz also answered questions from reporters concerning the assessments from ambassadors about political alliances for Turkey’s upcoming presidential elections in 2019. “The AKP [the ruling Justice and Development Party] and the MHP [Nationalist Movement Party] had announced an alliance, as well as the BBP [Great Union Party] leader. The ambassadors asked questions about these issues,” he said. The CHP leader also assessed EU-Turkey relations as French President Emmanuel Macron suggested an alternative for Turkey’s membership to the union last week during Erdoğan’s visit to France. “We do not dream of EU membership for Turkey when the law has been suspended and the country has surrendered to a state of emergency. 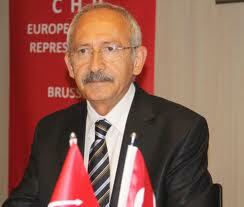 But when we reinstate democracy and law, we will not think of anything but full membership,” Kılıçdaroğlu said, according to a source.